Major (Retd.) 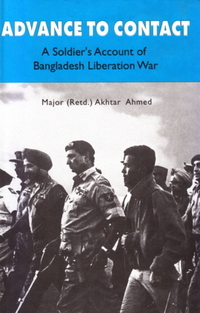 Akhtar Ahmed: Bir- Protik, was the Staff Surgeon in the Comilla Garrison after the War in 1971. In 1973 he was posted to the Bangladesh Navy. He retired from service in 1976 and went to work in Libya where he spent six years. In 1982 he became a National Consultant in the Ministry of Health and Family Planning in Bangladesh. From around 1989 he drifted into seafood business and s currently a processor and exporter of seafood from Bangladesh.